NEW 4th & 5th Grade Measurement Intervention (31 DAYS) READY TO GO! Hey, 4th and 5th grade math teachers! Do you have to provide Tier 2/Tier 3 math intervention but need materials? Are you constantly searching for materials and piecing together intervention lessons? Do you need to progress monitor students? Are you finding it a challenge to progress monitor students and keep track of their growth? If you answered 'yes' to any of those questions, worry no more! 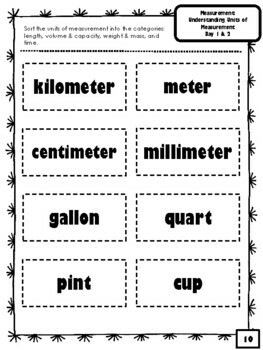 Here's a READY TO GO 4th and 5th Grade Measurement 31-DAY INTERVENTION! And it can help 6th graders who need extra help too. Each lesson takes about 15-20 minutes. You will guide your small group of students through the problems and activities each day. After the students complete all the lessons, they take the Progress Monitor that's provided for you. 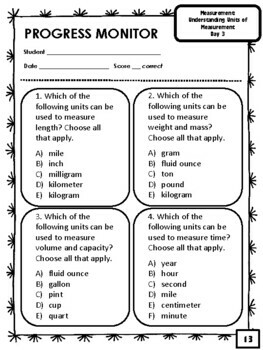 Next, you score it, assess their understanding, they graph their progress, and you keep working through the lessons! YOU make all the instructional adjustments or decisions that you deem best for your students such as add additional time or another day, use anchor charts, incorporate more manipulatives, etc. YOU know your students best! 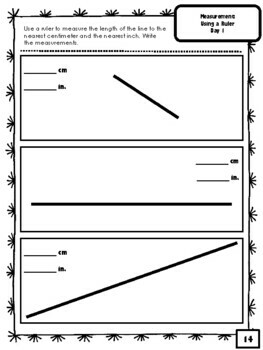 Fits perfect in a binder or student folder! Great to grab and take to parent conferences! Looking for more resources? Click on the products below. NEW 4th & 5th Grade Multiplication and Division Intervention OVER 80 PAGES! THANK YOU for purchasing this product. Don't forget to rate it and follow me. 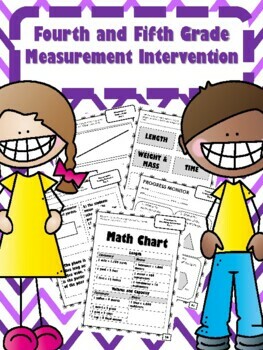 More 4th & 5th Grade Intervention products coming soon! Check out what's happening at my blog!